If I were to go back to school to take more courses, I think I might take a few courses in orbital mathematics. The number of interesting orbits around masses in space has captured my imagination. Take for example the orbit of the latest NASA orbital space telescope, TESS (Transiting Exoplanet Survey Satellite). The following graphic shows the path as TESS orbits between the earth and moon, checking in with NASA at regular intervals in its 13.7-day revolutions. TESS will be launched April 16, 2018 and will be NASA’s latest space-telescope. It will spend much of its time looking for planets outside of our solar system. Kepler, a similar space-telescope identified more than 5,000 potential exo-planets and TESS is expected to find even more and will focus on finding potentially habitable planets. Once enough potentially habitable planets have been found, scientists can begin to focus on the most promising planets for potential colonization. Of course, none of this will be easy since even the closest of these planets will be several hundred light years away. Someone needs to begin to work on that Warp-Drive to make it possible to quickly visit some of these distant planets. 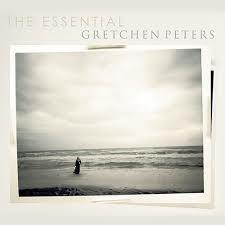 I just discovered the Essentials album by Gretchen Peters. She has written songs for Bryan Adams, Martina McBride, Faith Hill, and many others. "Hello Cruel World" is one of my favourite songs on the album. It is full of angst and tensions of good and evil. It makes one think about the struggles of this world and the struggle of light and darkness, Jesus and the devil. The piano and strings are beautiful, she sings one of the sweetest "oohs" in all of pop music, and the bass line is melancholic. Enjoy this song and meditate upon the goodness of creation and The Fall.